We have cemented our position as a trustworthy Exporter and Supplier of Ammonium Bicarbonate in Maharashtra, India. The Ammonium Bi Carbonate, offered by us, is perfect in formulation. Moreover, we pack this in air-tight material so as to avoid inconveniences en-route. Whether you place a small order or a bulk one, we will definitely deliver the placed one on time. Rely on us! 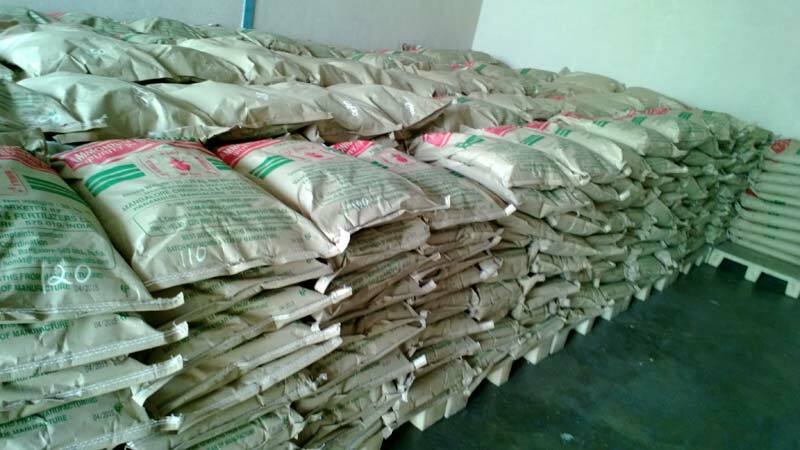 Food grade product with 99.8 % purity on dry weight basis. Being very hygroscopic, it is packed in air tight, laminated HDPE bags. Carbon dioxide (CO2) liberated from Ammonium bicarbonate is vital to the baking industry. It plays an important role in texturing the crumb structure and leavening. Best source of CO2 for baking industry - increases shelf life, does not spoil flavour, leaves no residual odour. Gives off more CO2 per unit weight than any other brand. Packing : 25 kg. double laminated woven sacks made from high density polyethylene(HDPE) with LDPE inner liner. Industries Served : Bakeries, Pharma, Tanneries.